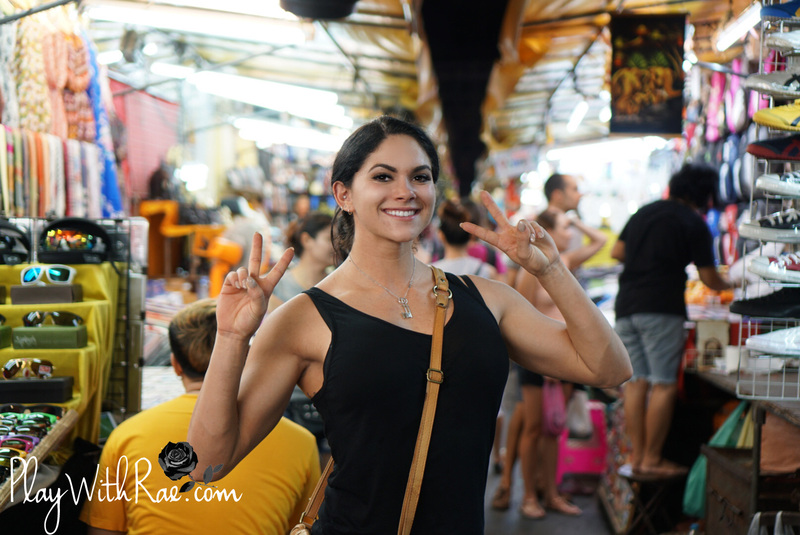 Last month, I skipped out on Thanksgiving and traveled to Thailand with a big group of friends from the gym. 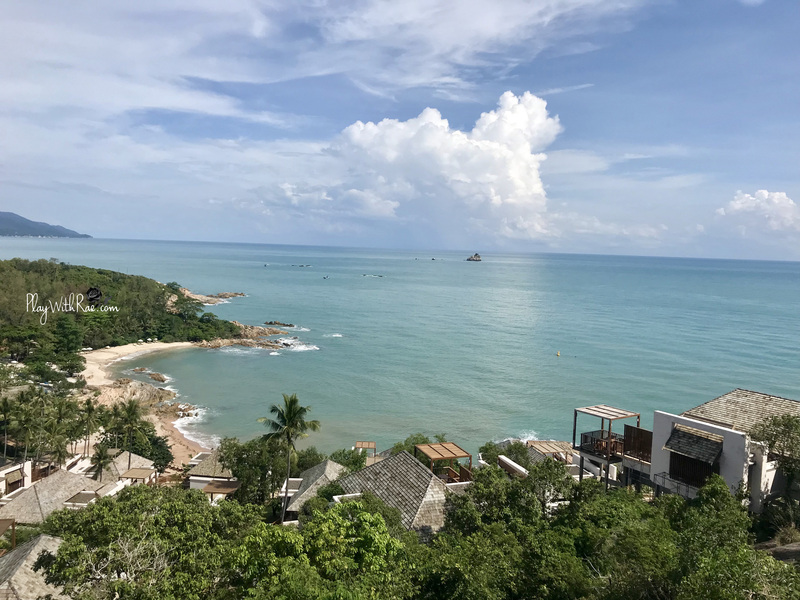 We had a BLAST checking out the busy streets of Bangkok and then retreated to the small quieter island of Koh Samui to relax and spend most of our time at the ocean. Not to mention things are CHEAP! …if you know where to look and dine away from hotels. Hotels = American Prices. I was able to find huge plates of food for like, 75 cents. On the contrary, I had a burger at my hotel for $25.. This wasn’t EVERYTHING I did over the 10 days, but here are a few of the key things! Floating Market: 8/10 Spectacular experience! It was awesome riding the boat through the river and tight canals and being able to purchase different souvenirs along the ride. We had our own boat to ourselves and a hilarious guide. The only reason this isn’t 10/10 is 1. it was hot a balls. I was sweating the entire time. 2. The souvenirs are very overpriced, and it lost a little authenticity based on it being such a tourist attraction. 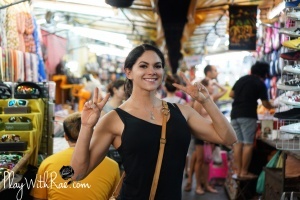 However, it would be a must if you are in Bangkok! Ping-Pong Show: 2/10 Yes. They are real. And yes, they are strange. Obviously I knew what I was getting myself into when I walked in the door, but the weak rating wasn’t based on the performance itself, but the total hustle of the experience in general. If you aren’t careful and agree with the bouncer ahead of time, you will face an entrance fee, a show fee, a minimum drink purchase fee, AND an exit fee. I had agreed on a set price to cover all of these things before entering, but the performers will do an act and demand a tip no matter where you are seated, and will literally stand there with their hand out the entire time unless you tip them. I am 100% familiar with the importance of tipping for a show.. but the demanding was just downright unpleasant. Elephant Riding: 0/10 Did not participate. I am not a crazy peta person, but I do draw the line here.. it breaks my heart, and if you want to see elephants, see them in a sanctuary, not a place where you can ride them. Lady Boy Show: 10/10 You just have to see one while you are there!! Without a doubt, an awesome show. Beautiful lady boys performing highly entertaining show pieces! I wasn’t sure what to expect, but I was blown away by how much I enjoyed it! 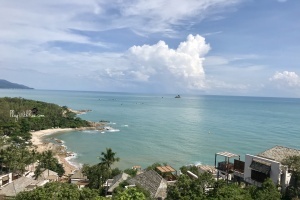 ATV Riding: 10/10 I was in Koh Samui for this activity, and it was without a doubt one of my most favorite things to do! There were pretty much no rules, and no restrictions. Just some good old fashioned ATV riding. I was covered in mud, and my hands were killing me by the end. Just what I wanted! Snorkeling: 5/10 The waters were quite murky off the coast of Koh Tan. 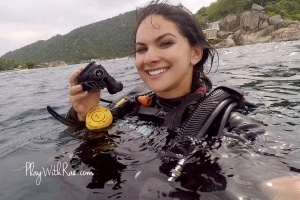 I didn’t really see anything worthwhile, and my go pro footage is just meh… The perks were, I love being in the ocean, and I got some super sweet tan-lines as a result! 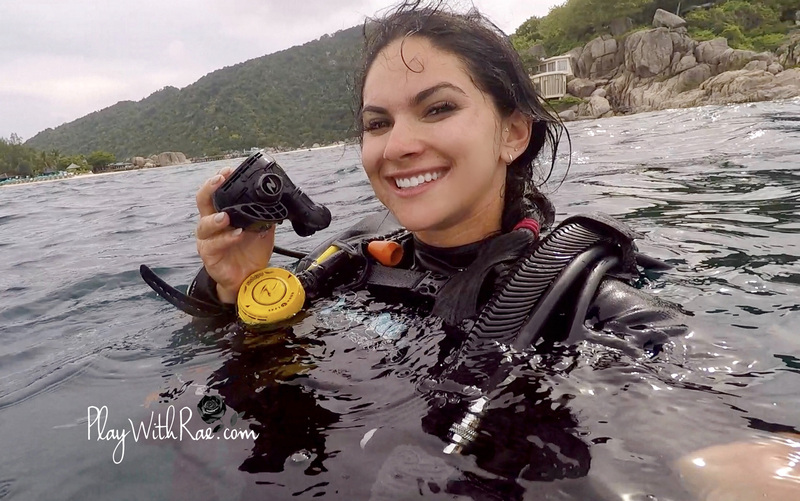 Scuba Diving: 6/10. The waters were once again pretty murky.. and of the 2 days of diving I took part in, 1 was a complete fail. My group was stuck in a current and we didn’t make it to the dive spot even after swimming for 40 mins. We were virtually on an ocean treadmill. The 2nd day was a little better, but still, the visibility was just not up to par. Just bad luck!